P101 2 Pack High Performance Finish provides excellent protection and durability to the surface. Can be applied directly to GRP surfaces. A high gloss 2 pack polyurethane finish coat that is a light stable, coloured aliphatic polyurethane coating which will not fade or yellow when exposed to high levels of Ulta violet light. 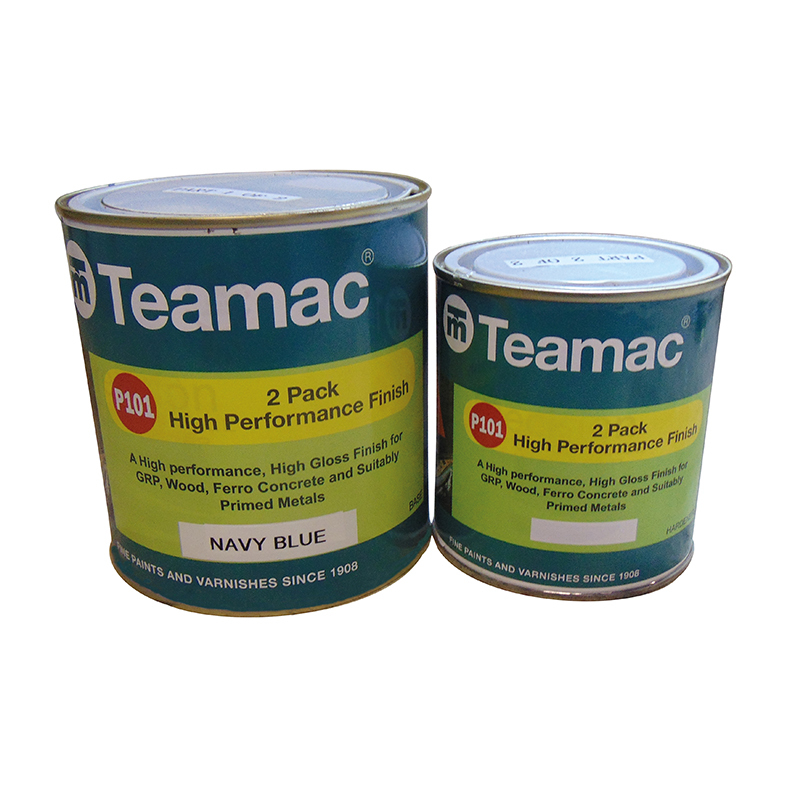 Teamac P101 2 Pack High Performance Topcoat is used as a hard wearing finish that will not support fungus growth and is easily cleaned of surface contaminants. For marine applications on GRP, wood, ferro concrete and suitably primed metals. Can be used over compatible water based paints. Not for use over conventional solvent based paints. The two parts need mixing together thoroughly before use. Follow the instructions on the tin and/or data sheets. Designed to be used above the water line or below the waterline on smaller vessels that do not require an antifouling paint. Please note: This product is not recommended for DIY users. Always follow Health & Safety practice when painting.